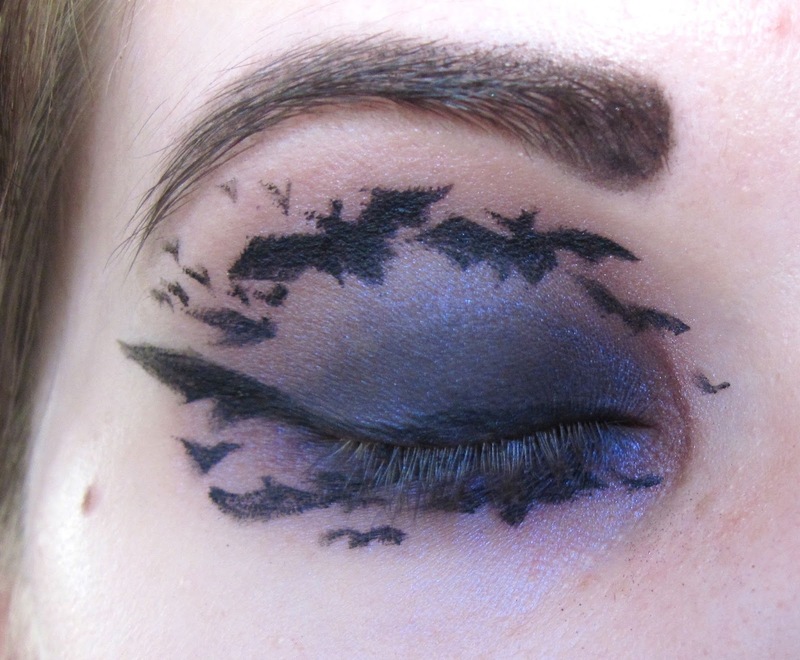 Black Ink and Black Cats: Make Up Post: Gone Batty! Some I was perusing my favourite place on the internet to get inspiration/ideas for make up and came across a delightfully spooky Halloween look! Yes, I know it's still a bit early for the holiday, but I like pumpkins, black cats, ghosts, and bats all year round. 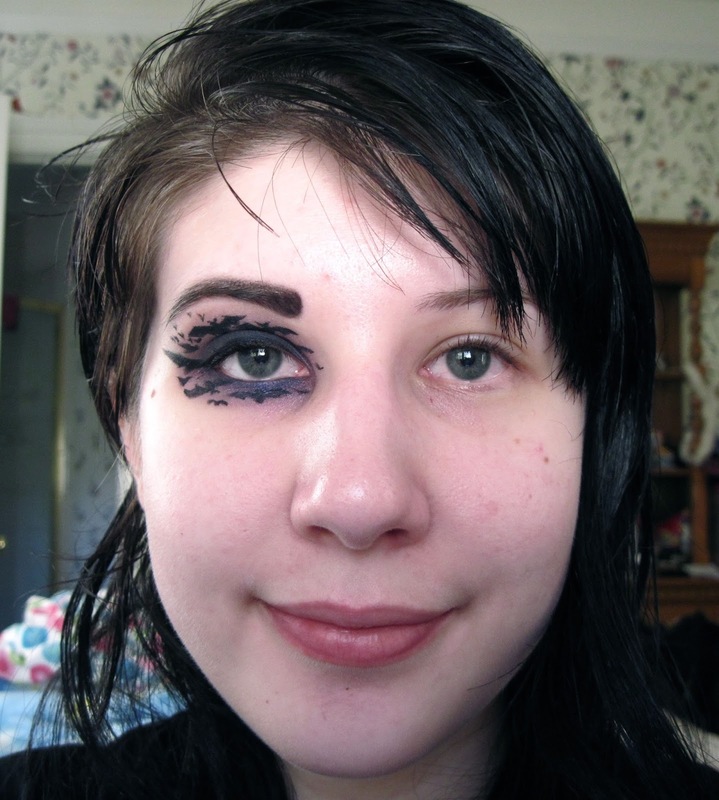 I decided to try out this great tutorial for bat eye make up. It's by no means perfect, but for a first attempt with limited supplies (most of my make up is up at school...) I think it turned out reasonably well. 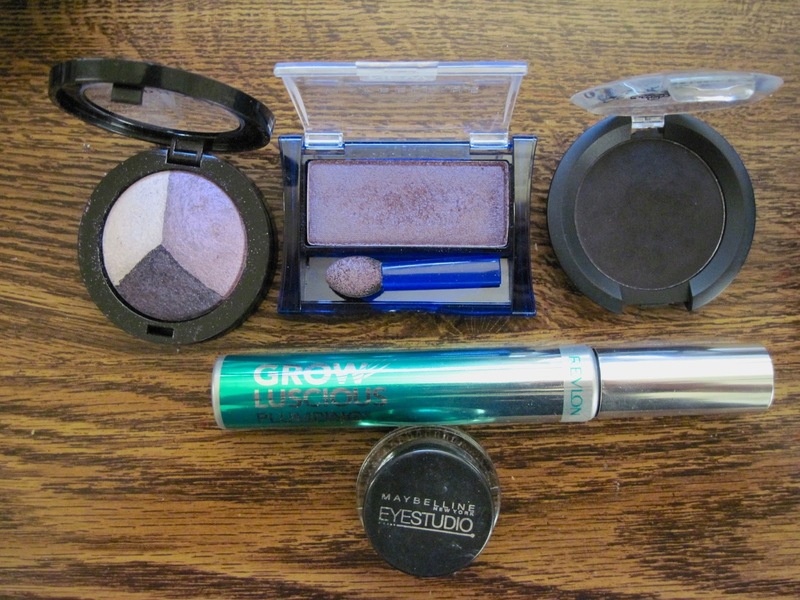 I used Maybelline ExpertWear Eye Shadow in Amethyst (I've had it for several years, not sure if they still make it) for most of the purple and Sephora MicroSmooth eye shadow palette in Ultraviolet (the medium purple for the outer edges and the dark purple for the crease). Really, you can use any combination of colours you like! 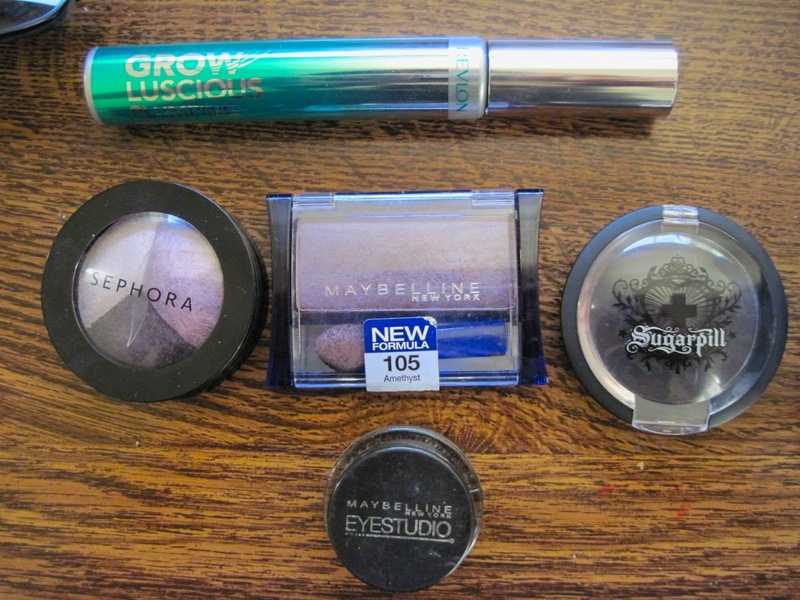 I definitely want to try this again in the orange colour scheme once I have access to all of my eyeshadows. 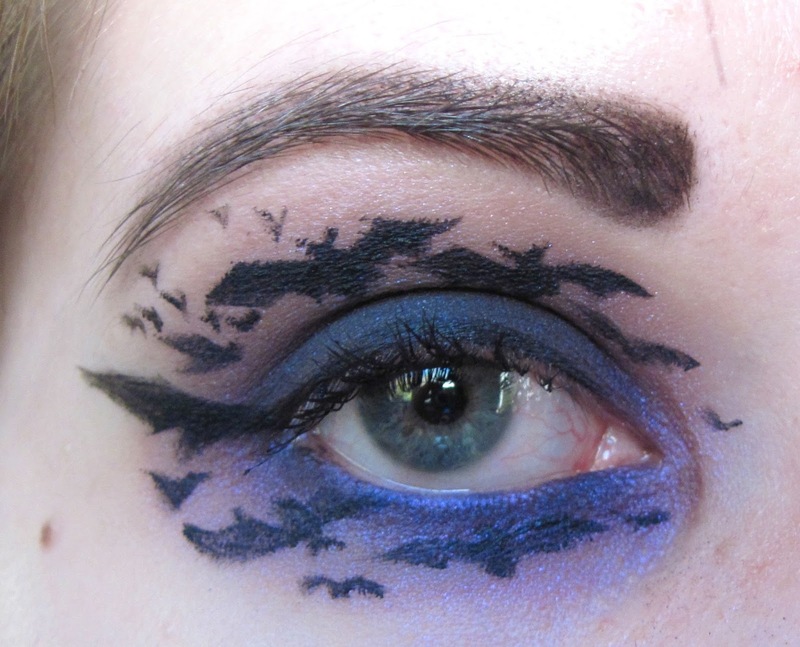 For the bats, I used gel eyeliner but you might get a better result with liquid liner. Do not try this with pencil. Pencil is highly inaccurate and too soft to draw precise shapes (unless you're magically skilled in it, in which case you are amazing). It also helps if you're good at drawing in general, which I am not. All credit for the tutorial goes to the lovely bloodsexsugarmagik at Reddit's r/makeupaddiction.